They’re very simple, but with an attitude – perfection. 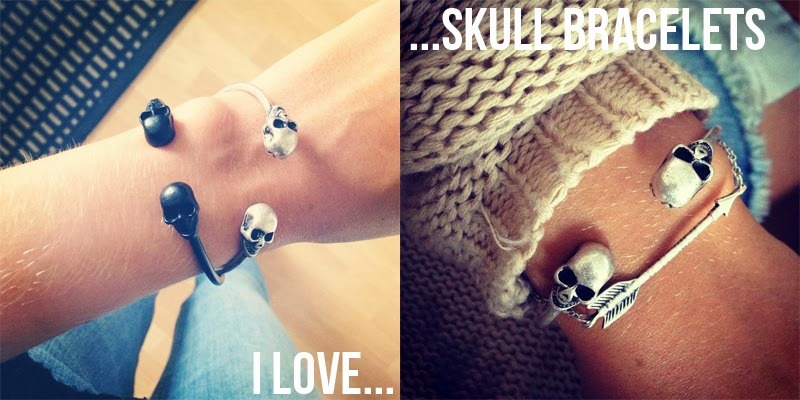 You can find skull bracelets at f.ex. Westyle.fi (HERE or HERE) and Nelly.com (HERE, HERE, HERE and HERE).